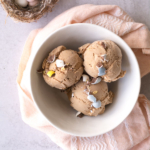 The earthy sweetness of malted milk powder combined with milk chocolate ice cream mixed with a handful of chopped mini Cadbury eggs. Meet my new favorite ice cream! My love for dark chocolate isn’t a secret. I boast about how much I love my chocolate 72% or higher but there is something soothing about creamy milk chocolate melting on my tongue. 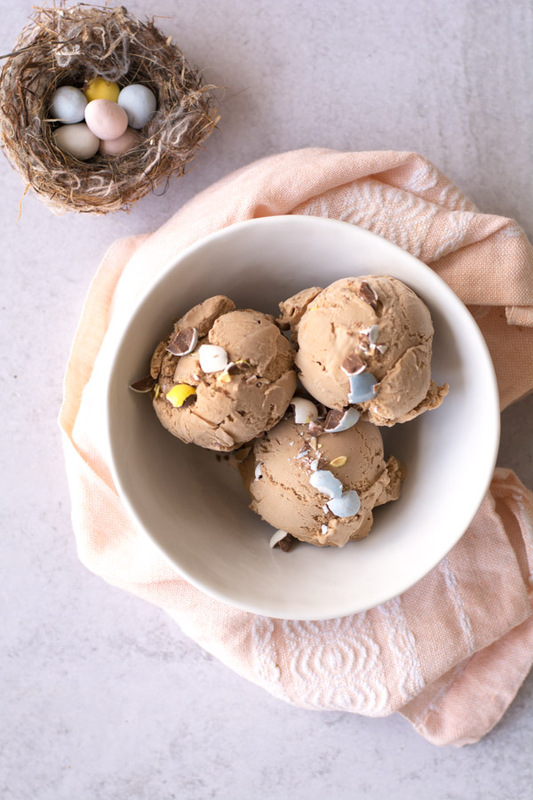 Mini Cadbury eggs are my Easter addiction so why not toss a handful into this amazing malted milk chocolate ice cream? 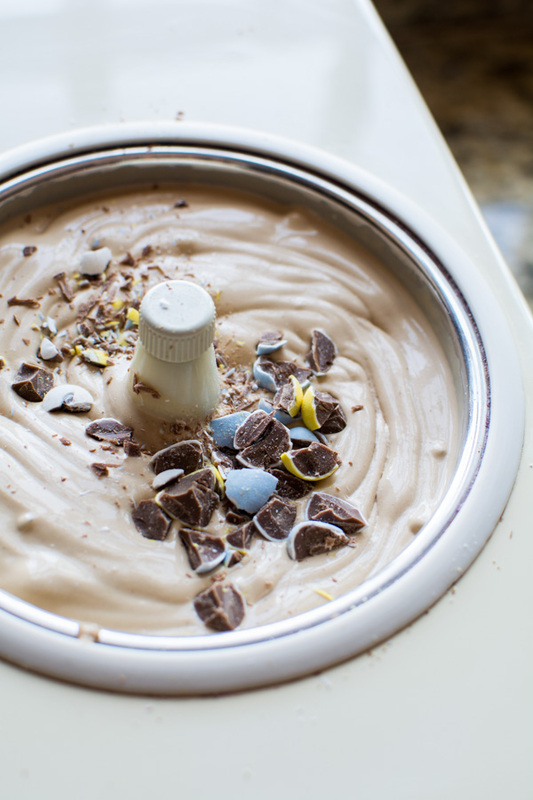 Heavenly milk chocolate ice cream is just six ingredients away. 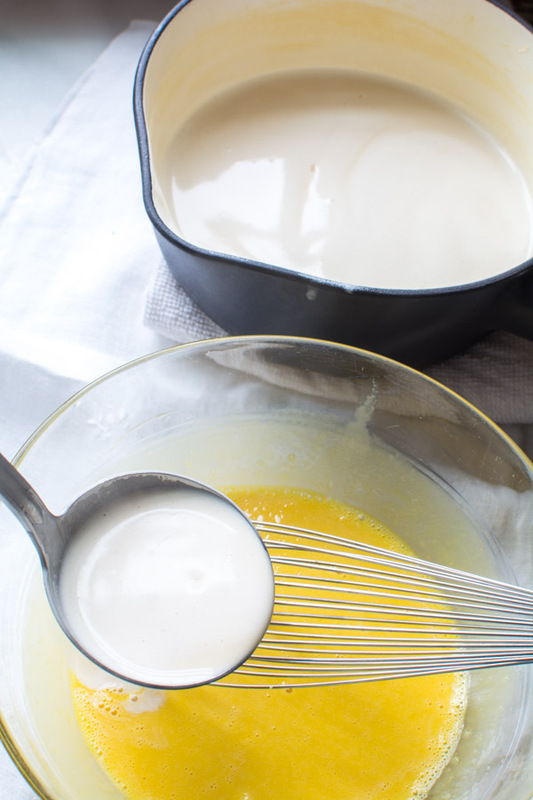 In a heatproof bowl, whisk the yolks just to break them up. Put the chopped milk chocolate in another medium heat proof bowl and set both aside. 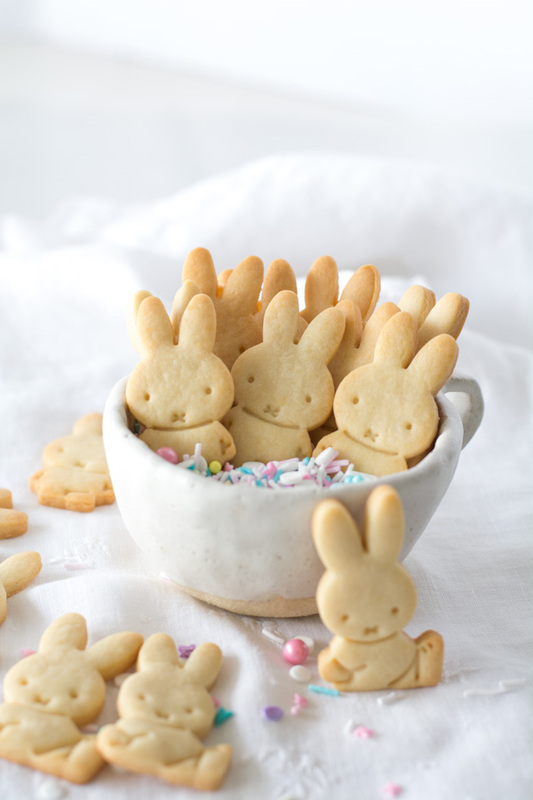 In a heavy saucepan, whisk together the cream, milk, malted milk powder, and salt. Put over medium heat. When mixture barely comes to a simmer, reduce the heat to medium. 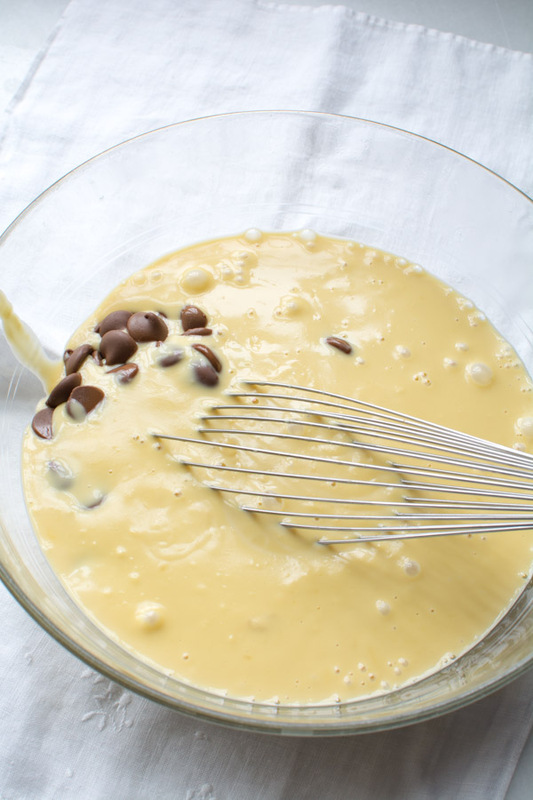 Carefully scoop out about 1/2 cup of the hot cream mixture, and add it to the egg yolks whisking constantly. Repeat, adding another 1/2 cup of the hot cream mixture to the yolks. 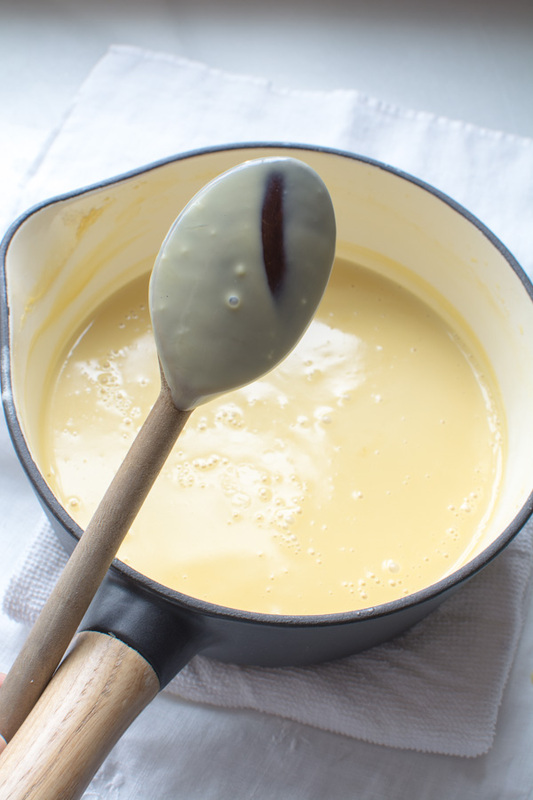 Return the egg yolk mixture back into the pan with the remaining cream mixture. Stir with a silicone or wooden spoon constantly until the mixture begins to thicken and coats the back of the spoon. It should hold a clear path on the back of the spoon when you run your finger across the spoon. Carefully pour the hot mixture over the chopped chocolate. Allow to stand for a few minutes to allow the chocolate to melt. 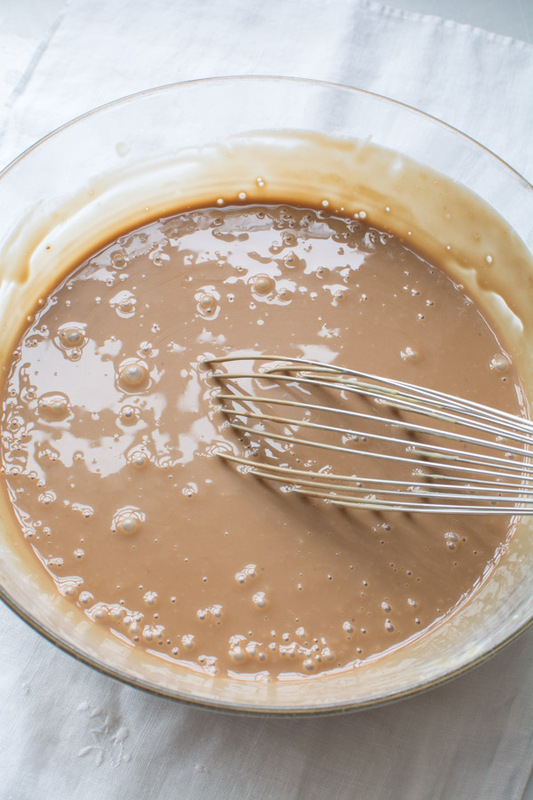 Once the chocolate has melted whisk the mixture until smooth. Pour chocolate mixture through a fine mesh strainer. 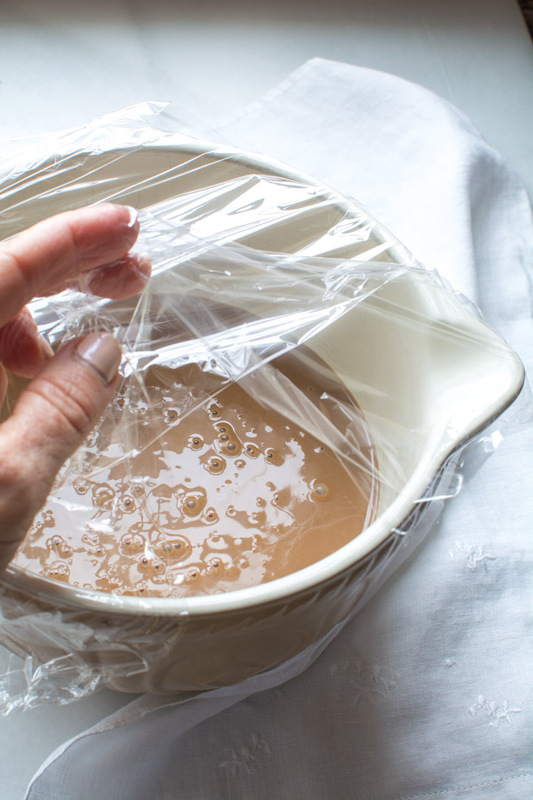 Cover with plastic wrap and refrigerate for at least 2 hours or overnight. 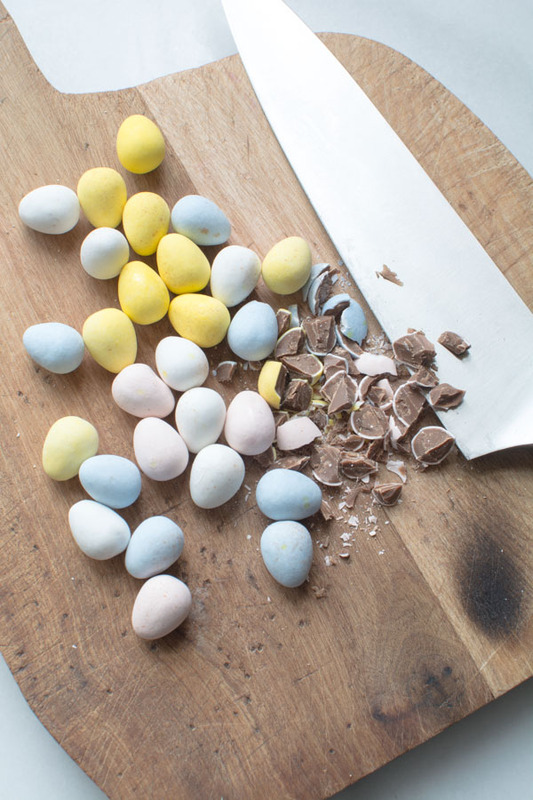 Coarsely chop mini Cadbury eggs. Set aside. Freeze in your ice cream machine according to the manufacturer’s directions. Add the chopped chocolate eggs the last few minutes of freezing. 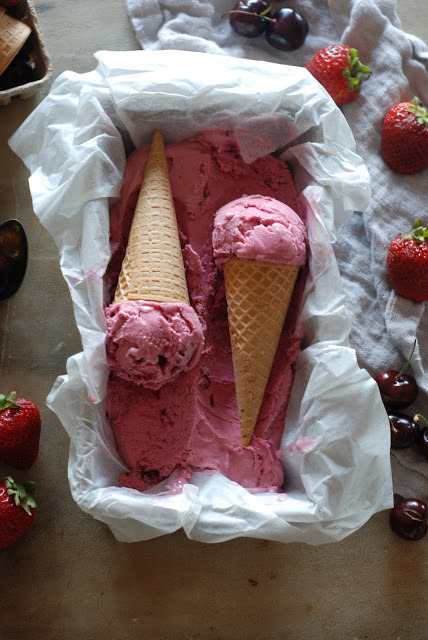 Serve immediately or transfer frozen ice cream into a chilled container and freeze until ready to serve. I use Carnation brand Malted Milk Powder. Any brand will work. Chill chopped mini eggs before adding to ice cream. Room temperature chocolate may cause the set ice cream to thin a bit. If the chocolate is cold the ice cream will continue to firm up. While the ice cream is churning put the container you’ll be using into the freezer. This will chill the container so the ice cream doesn’t begin to melt when being transferred from ice cream freezer. If you have an ice cream maker like Cuisinart that requires the bowl to be placed in the freezer, make sure that the bowl is in the freezer for a good 24 hours. If you are using an ice cream maker that requires the bowl to be placed in the freezer, the bowl only stays frozen for so long. So if your ice cream isn’t as solid as you would like after 20-25 minutes, remove from the bowl anyway and transfer it to a separate container and place in freezer. After 20-15 minutes the bowl will begin thaw. If you run it longer than that your ice cream will begin to thaw as well. I note this because of experience. After 30 minutes of running time, my ice cream was back to a liquid. Keep checking eBay for ice cream makers that don’t require freeze time. I found an old Simac Gelato maker called “The ice cream boy”. It has lasted me years and has been worth the $100 I paid for it. I keep it on my countertop during the summer. My grandkids will turn it on and pour in lemonade or other juices for a frozen treat. It is so awesome. 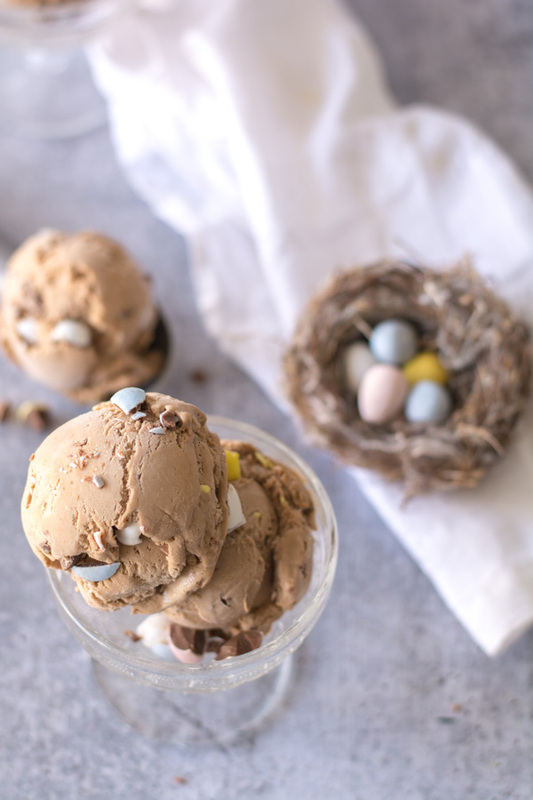 The earthy sweetness of malted milk powder combined with milk chocolate ice cream base with chopped mini Cadbury eggs. 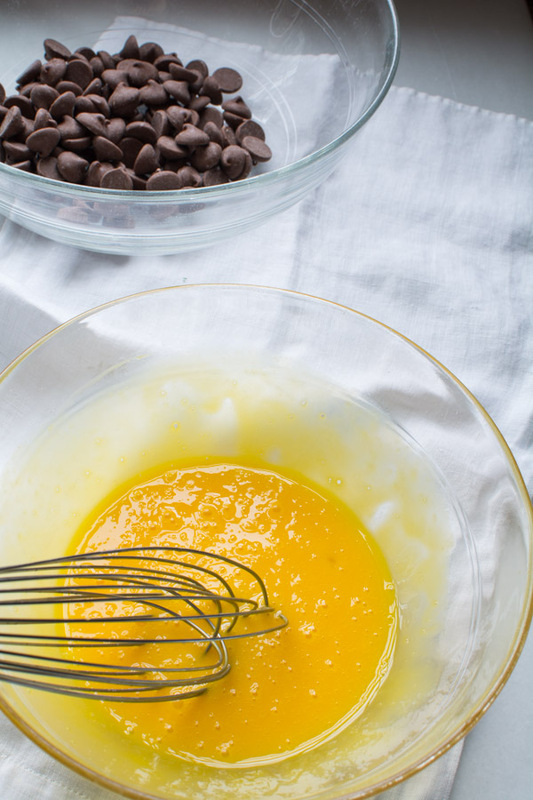 In a medium heatproof bowl, whisk the yolks. Put the chopped milk chocolate in another medium heatproof bowl and set both bowls aside. 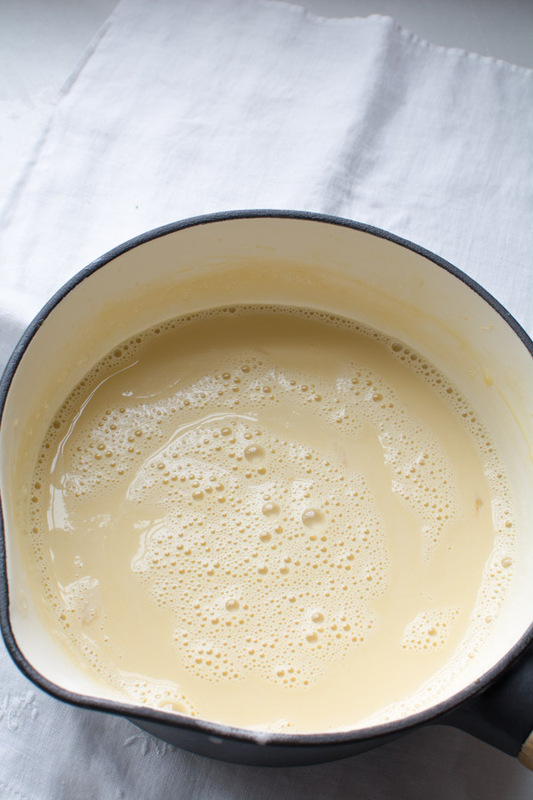 IN a heavy saucepan, whisk together the cream, milk, malted milk powder, and salt and place the pan over medium heat. When the mixture is to a low simmer, reduce the heat to low. 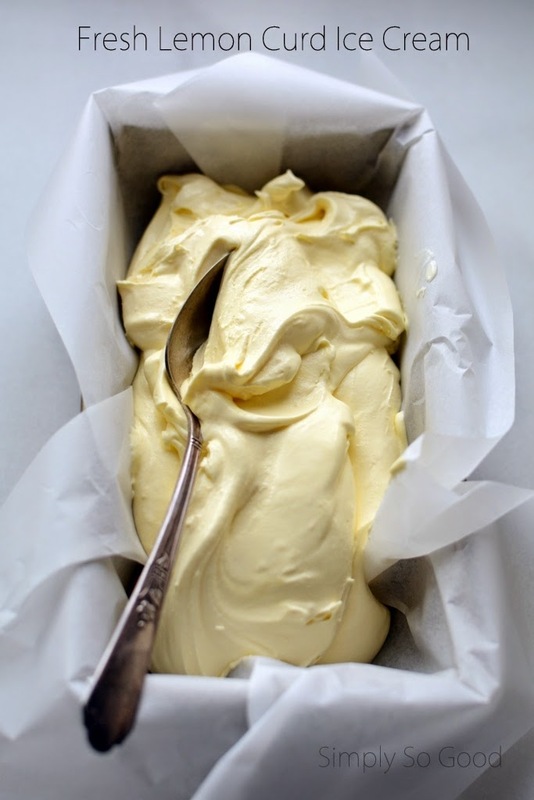 Carefully scoop out about 1/2 cup of the hot cream mixture and add to the egg yolks whisking constantly. Repeat, adding another 1/2 cup of the hot cream to the bowl of egg yolks. Repeat until 1/2 of the cream mixture has been added to the egg yolks. 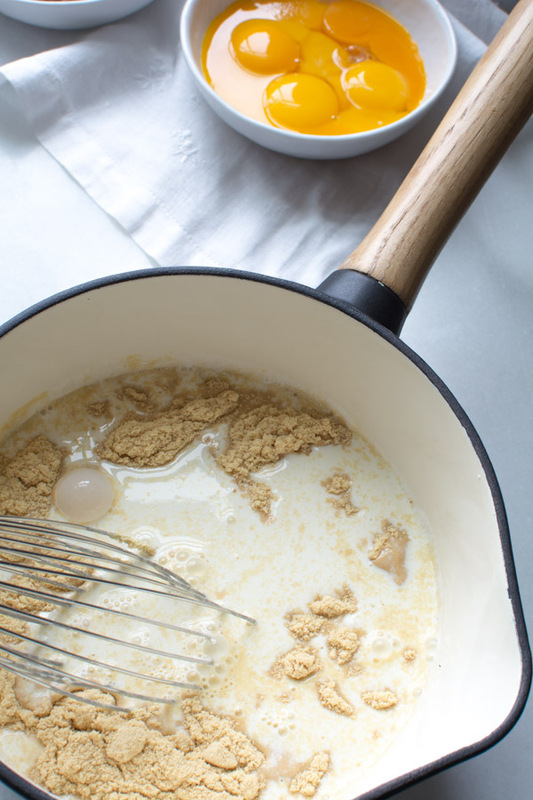 Return the egg yolk mixture back into the pan with the remaining cream mixture stirring with a silicone or wooden spoon constantly until the mixture begins to thicken and coats the back of the spoon. It should hold a clear path on the back of the spoon when you run your finger across the spoon. 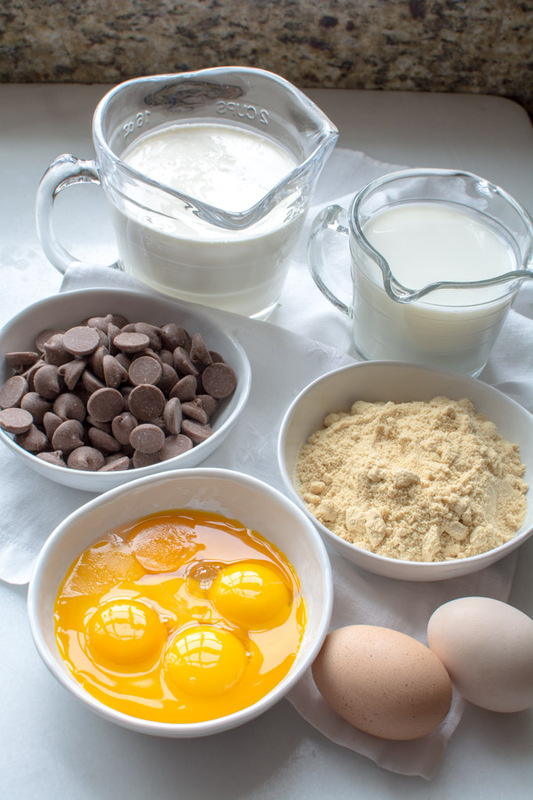 Pour the hot cream mixture into the bowl of chopped milk chocolate. Whisk until smooth. 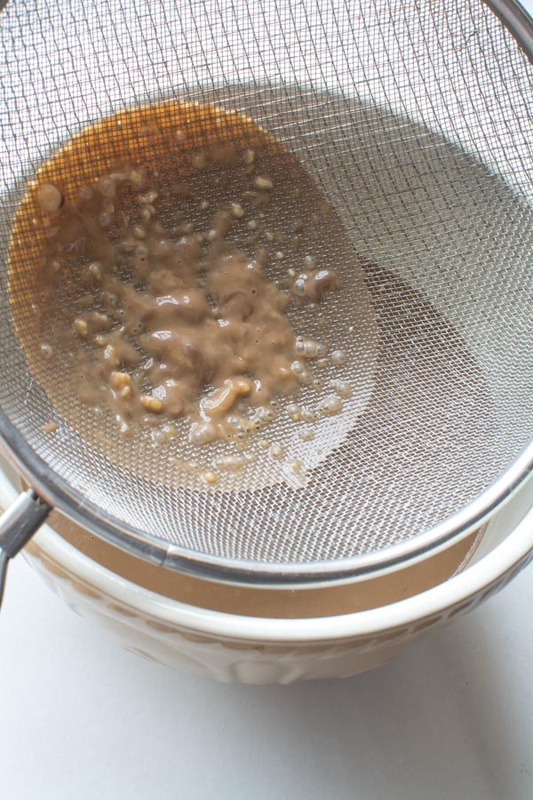 Strain the base through a fine-mesh strainer into a clean container. Cover with plastic wrap and refrigerate base mixture at least 2 hours. I like to chill overnight. Freeze in an ice cream machine according to the manufacturer's instructions. While the ice cream is churning, put the container you'll use to store the ice cream into the freezer. 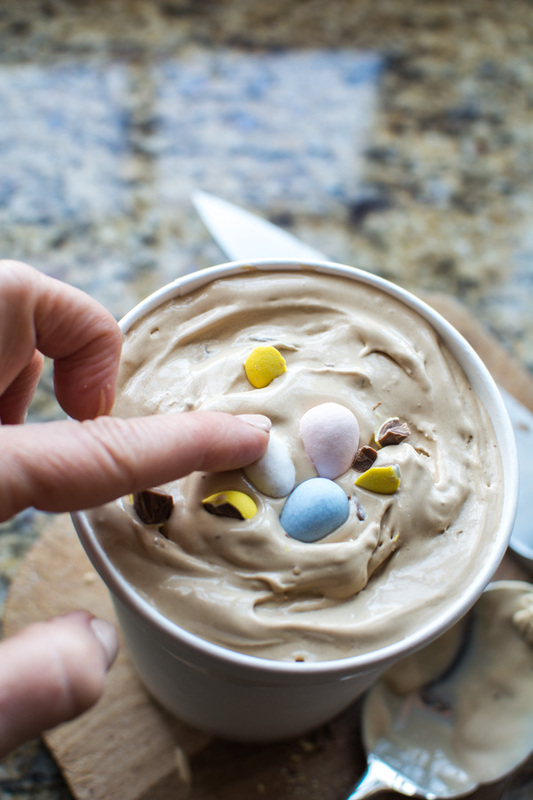 During the last few minutes of churning add the chopped mini Cadbury eggs. Serve right away or store in the freezer. While the ice cream is churning put the container you'll be using into the freezer. This will chill the container so the ice cream doesn't begin to melt when being transferred from ice cream freezer. If you are using an ice cream maker that requires the bowl to be placed in the freezer, the bowl only stays frozen for so long. So if your ice cream isn't as solid as you would like after 20-25 minutes, remove from the bowl anyway and transfer it to a separate container and place in freezer. After 20-15 minutes the bowl will begin thaw. If you run it longer than that your ice cream will begin to thaw as well. I note this because of experience. After 30 minutes of running time, my ice cream was back to a liquid. Keep checking eBay for ice cream makers that don't require freeze time. I found an old Simac Gelato maker called "The ice cream boy". It has lasted me years and has been worth the $100 I paid for it. I keep it on my countertop during the summer. My grandkids will turn it on and pour in lemonade or other juices for a frozen treat. It is so awesome. What kind of chocolate chips did you use? you should really consider publishing a cook book…..your recipes are incredible and it would be a best seller for sure! 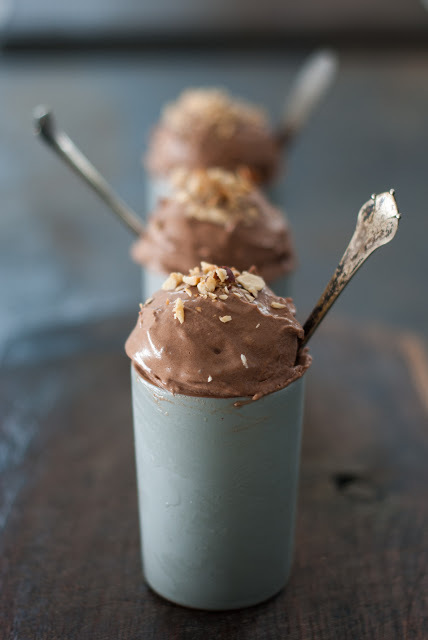 I cant wait to try your malted Milk ( chocolate) ice cream recipe. One question : how much cream do yiu add? The amount doesnt seem to be in the recipe. I’m sorry for that error. It has been added to the recipe card. It’s 1 3/4 cup heavy cream. Thanks for being on top of things 🤪I shouldn’t be posting late at night. Sorry did you forget to add actual cream to the ice cream. I don’t think l have ever made ice cream just using milk. I did forget to put the amount in the recipe. It has been added. I’m so sorry 🤪THE most important ingredient.